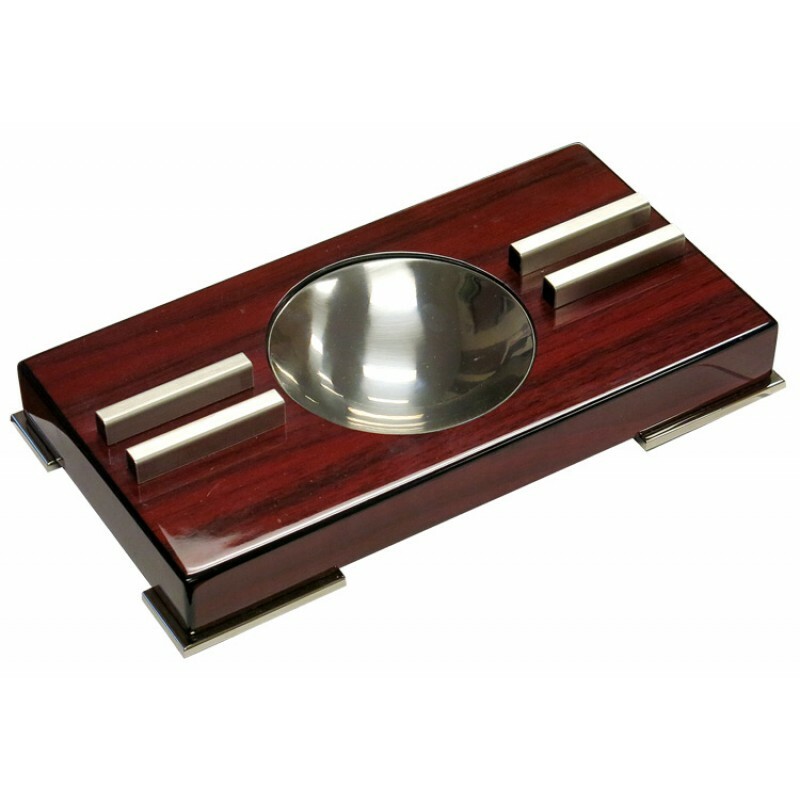 The deep lustrous finish of this contemporary cherry wood lacquer ashtray is really something else! 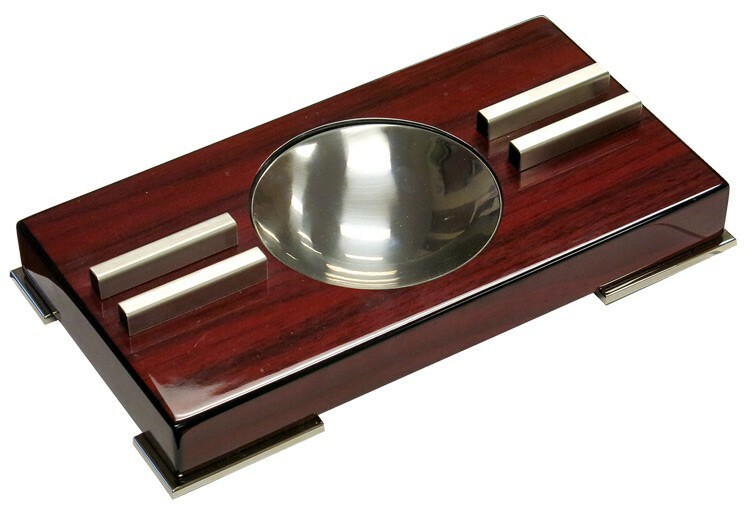 These cigar ash trays features a fantastic combination of modern characteristics including a unique art deco cigar bed design along with a matching ash reservoir. This ashtray is set on top of a gorgeous set of chrome plated polished feet.